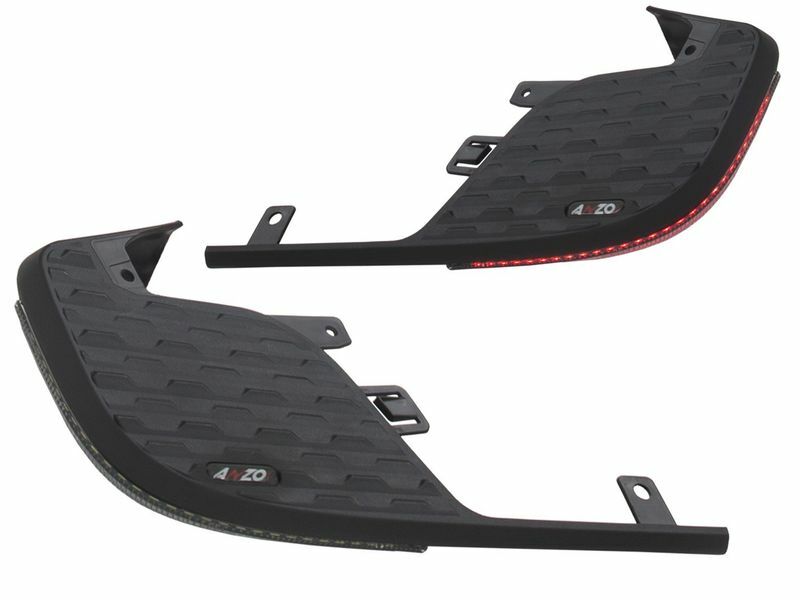 Do you want something to jazz up that dull bumper step on your new Chevy or GMC? Your solution is Anzo LED rear bumper step lights. Black housing with clear lens, these LED lights will make an awesome add-on to your truck. These lights shine red while running, braking, and signaling. Sounds pretty sweet so far, right? Anzo took it to another level by also integrating white LEDs for your reverse lights. Of course you can't have just one side, so these badass illuminated step pads are sold in pairs. Anzo's one year manufacturer warranty against defects make for an easy decision when it comes to purchasing these killer LED rear bumper step lights! Anzo LED rear bumper step lights offer you an easy at-home, no-drill installation. For additional information or if you need a question answered, give us a call, we are always eager to help!